For those of you unaware of the Queensland labour trade, between the early 1860s and the beginning of the 20th century, approximately 100,000 Pacific Islanders were transported as labourers to work in British colonies throughout the Pacific region. One of these colonies was Queensland. Between 1863 and 1904, at least 109 vessels were involved. Approximately 60,000 South Sea Islanders were transported in these vessels to work the Queensland cane fields. South Sea Islanders are predominantly from Vanuatu and Solomon Islands. The South Sea Islanders established the local sugar cane industry and contributed to Queensland’s overall prosperity. Their role, together with the recruiters who brought them to Queensland, is a well documented and sometimes controversial part of North Queensland history. One of these Labour vessels was a Topsail Schooner called the Foam. Originally named Archimedes, it made seven recruiting voyages between 1887 and 1890 before its name was changed to the Foam in 1892. After this it only made one more recruiting voyage in October 1892. By this time the Archimedes / Foam had recruited 449 recruits and transported 404 returns back to the South Sea Islands before its fateful last voyage in January 1893. The Foam departed from Dungeness (on the coast near the bottom of Hinchinbrook Island) for the Solomon Islands at 6:00 am on Sunday 5 February 1893. On board were the European crew, a Government Agent, six South Sea Islander crew, and 84 returnees. It was fully laden with the ship’s stores, trade goods and equipment required for a recruiting voyage along with all of the personal possessions and trade goods of the returning Islanders. The plan was to sail through the Great Barrier Reef via the Palms Passage. Any plans of making a quick voyage to the Islands came asunder at 8:30 pm when the Foam ran aground on Myrmidon Reef (18° 16’S, 147° 22’E) on the outer edge of the Great Barrier Reef. All those on board survived the wreck. A rescue vessel was dispatched to the wreck site with the instructions to “rescue everyone, salvage anything, recover the returns’ effects [trade boxes] and return to Townsville”. Everyone onboard was safely transported back to Townsville. 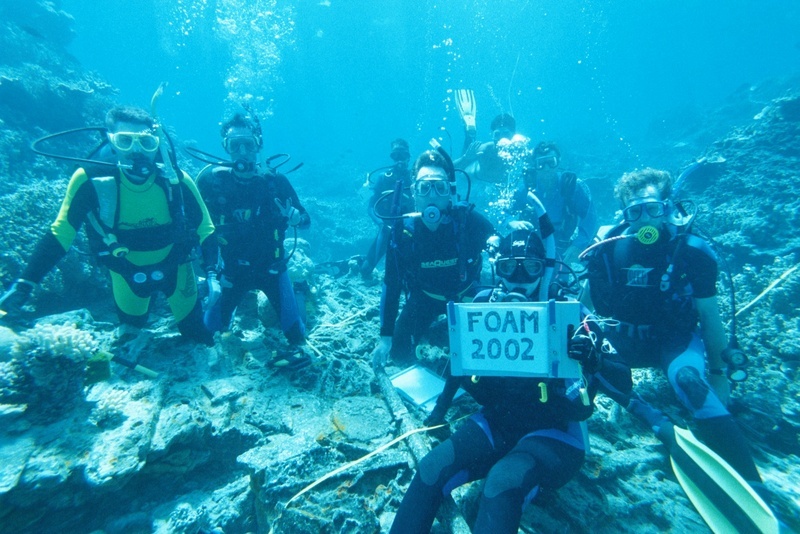 The wreck site of the Foam was discovered on 10 October 1982. 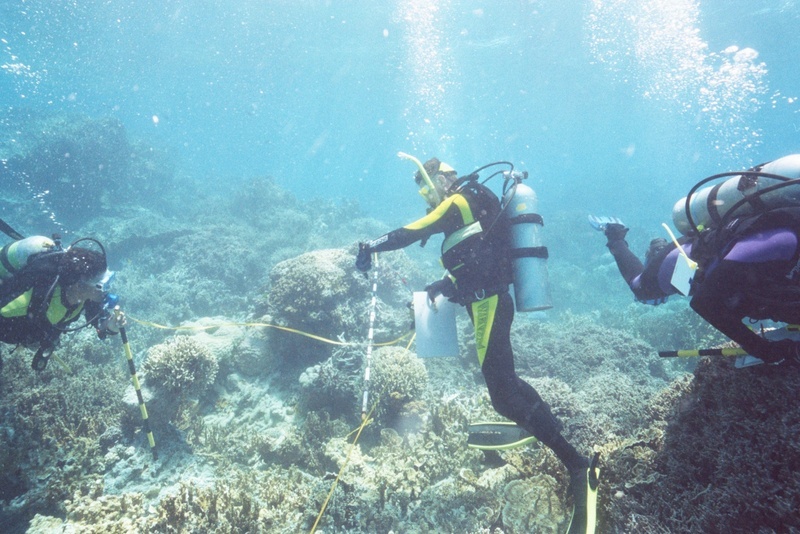 A team of maritime archaeologists from the Queensland Museum investigated the site in December and confirmed the identity of the wreck. They recovered a wide range of artefacts ranging from ceramic armbands and clay pipes to examples of domestic ware and vessel fittings. In all, 394 artefacts (whole, fragments and concretions) with a total weight of 34.1 kg were recovered. On 14 January, 1983, the wreck of the Foam was declared protected under the Historic Shipwrecks Act of 1976. The Foam collection was originally housed in the Queensland Museum Southbank, and it now resides at the Museum of Tropical Queensland in Townsville where I was fortunate enough to be able to research it in great depth as part of my PhD thesis. I also conducted two field trips to survey the wreck site with a combined eight person team from James Cook University (JCU) and the Museum of Tropical Queensland (MTQ). The first was in December 2002 followed up in September 2003. These field trips facilitated the development of a site plan that enabled the final position of the Foam to be overlaid on the site. A photomosaic was also developed as was a site condition report. The historical records reveal that the trade goods used by recruiters in exchange for labourers at the islands and purchased by the labourers in Queensland prior to their return consisted mainly of: tobacco, clay smoking pipes, firearms and ammunition, metal knives and axes, fishing line and hooks, clothing and cloth, blankets, saucepans and lamps. Tobacco and pipes were very popular in the islands as were firearms. 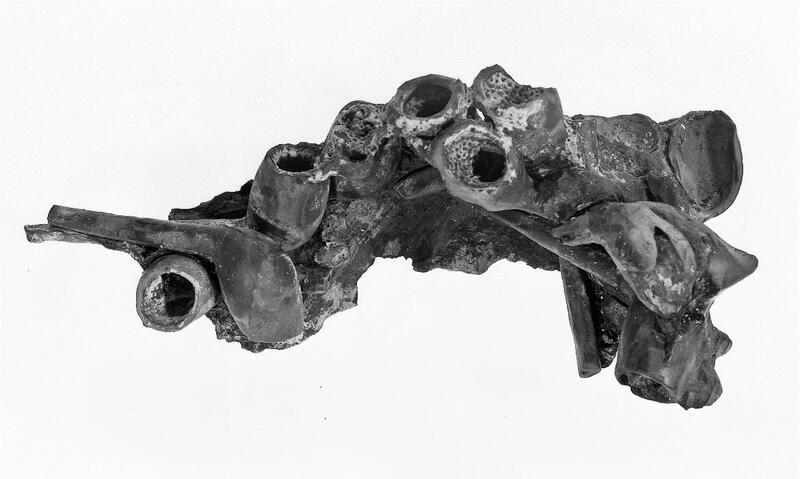 One of the intriguing finds recovered by the Queensland Museum were ceramic armbands. These items were not listed as trade goods in the historical records. 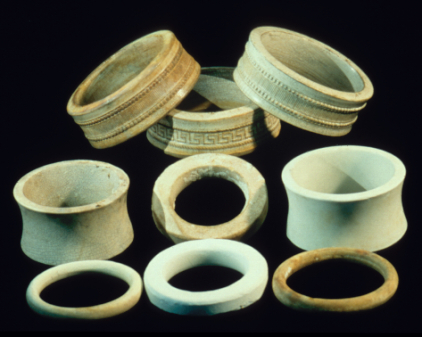 Research revealed that they were European manufactured (in Austria) glazed ceramic copies of the Islanders’ traditional shell armbands used as status indicators and for exchange for wives and services. Further, the Europeans were manufacturing armbands with motifs on them that were not on any of the traditional shell armbands. In effect, European traders were introducing counterfeit copies of status goods and new types of status goods into the Islanders’ exchange systems. My research revealed that these armbands were not manufactured specifically for the Queensland labour trade. They were part of a larger industry that was producing ceramic copies of traditional status goods such as ceramic dogs’ teeth and human teeth. Multi coloured ceramic nose bars were also manufactured. These goods were introduced into traditional exchange systems from Africa all the way across to the South Sea Islands as part of the colonial powers’ expansion around the world. Another intriguing artefact recovered from the wreck site was a concretion of clay trade pipes from the base of a wooden barrel. By itself this is not remarkable. However, these clay pipes bore the motif of Scotland’s 42nd Highlanders the Black Watch Regiment. This begged the question, how did clay pipes from the 42nd Highlanders end up on a Queensland Labour vessel wreck site on the outer edge of the Great Barrier Reef? After considerable research, it turns out that the pipes were not being purchased in sufficient quantity by the regiment so the surplus stock was sold off to the colonies at a cheap rate. From an archaeological perspective, this indicates a system whereby excess stock, as opposed to stock specifically manufactured, was dumped onto colonial markets as trade goods. 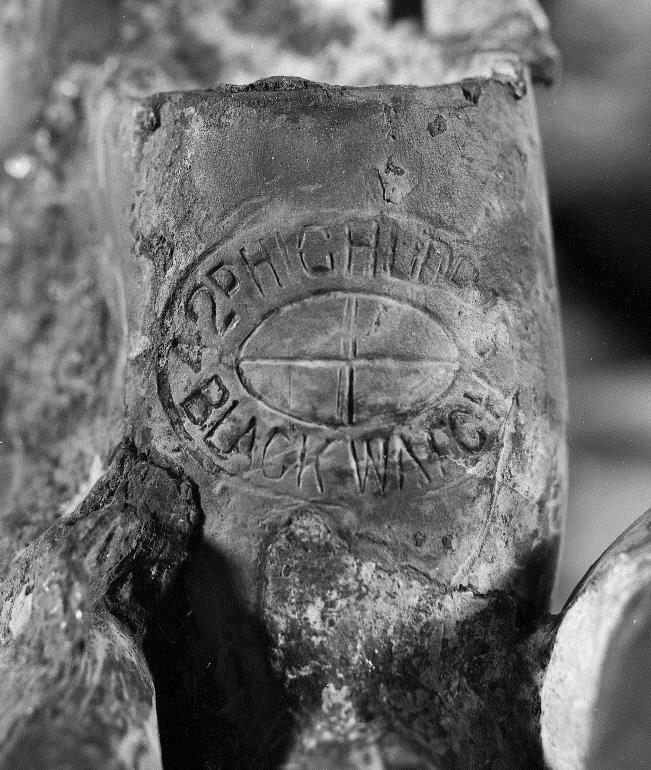 As shown the Black Watch pipes from the Foam were packed interlocked in a curved wooden container, this indicates that they were part of a bulk purchase and, as such, were part of the recruiter’s trade goods and not the property of individual returns. My current role at the Queensland Museum is as an Honorary Officer (volunteer) within the Archaeology section. My task is to enter all of my thesis research on the artefacts recovered from the Foam onto the Queensland Museum Maritime Heritage Database. This will eventually go live on the QM website. Future research involves delving into the Queensland State Archives in a further attempt to discover the names of the 84 South Sea Islanders onboard the Foam. This will provide information to South Sea Islander descendants and the final link between the Foam, Queensland’s early history and the South Sea Islanders involved with the Queensland labour trade. This story is an important part of South Sea Islander history and culture, and the information from this and other projects provides information vital to the descendants.